Fight weekend is upon us and the anticipation from the diehard fans is at a fever pitch. This is truly a super fight between two elite combatants for the unified middleweight championship. 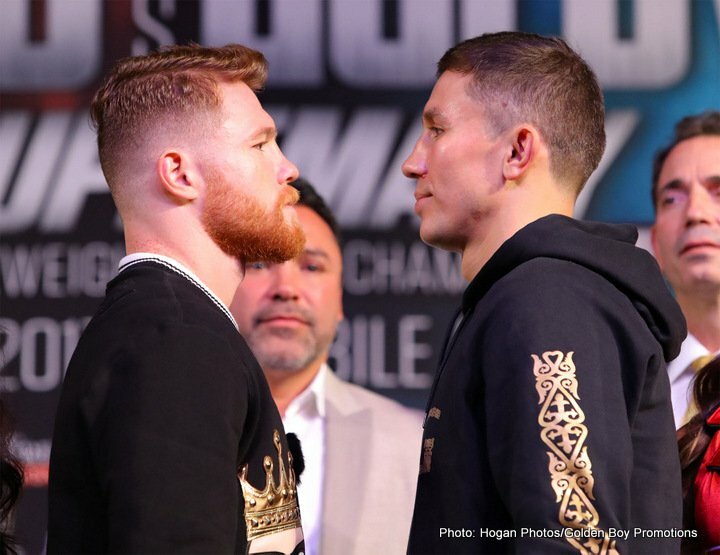 Gennady Golovkin (37-0-33KO) vs. Canelo Alvarez (49-1-1-34KO). A lot of boxing pundits and experts feel that this fight will live up to the hype and we are expect to see a battle like Hagler Vs Hearns. I attend to disagree with them just a little bit. I do feel that this fight will live up to the fight but not Hagler vs. Hearns. I see this fight more like Hagler vs. Mugabi. There are a similarities between this weekend fight and Hagler/Mugabi. Like Marvin Hagler, Golovkin has cleaned out his division and has been long reigning middleweight champion for seven years. Beating everybody they have put in front of him, he’s been avoided and has been seeking for a signature super fight to put a cherry on his long storied career. Now with Canelo, just like Mugabi, he was devastating and impressive at super welter weight/junior middleweight division. Now at that time of the Hagler fight Mugabi was undefeated . Canelo only has one defeat at junior middleweight but this is Canelo’s first fight at the full fledge 160 pound middleweight division. Canelo has something to prove to the fans on whether the two year posturing was a business decision or a self preservation decision. These questions will be answer tomorrow. I’m not going to go in to depth on strengths and weaknesses of both warriors, the real fans already know what Golovkin and Alvarez can do and what they bring to the table. This battle is going to be a battle of desire and skill vs. power and will. For people who do not remember the battle between Marvelous Marvin Hagler and John “The Beast” Mugabi I strongly encourage you to watch that fight to see the type of battle this will be on Saturday night http://www.dailymotion.com/video/x1lmjqs. It’s very difficult to call this fight on who is going to win. This is truly a 50/50 fight. The only guarantee winner I predict in this fierce battle is going to be boxing and their fans.